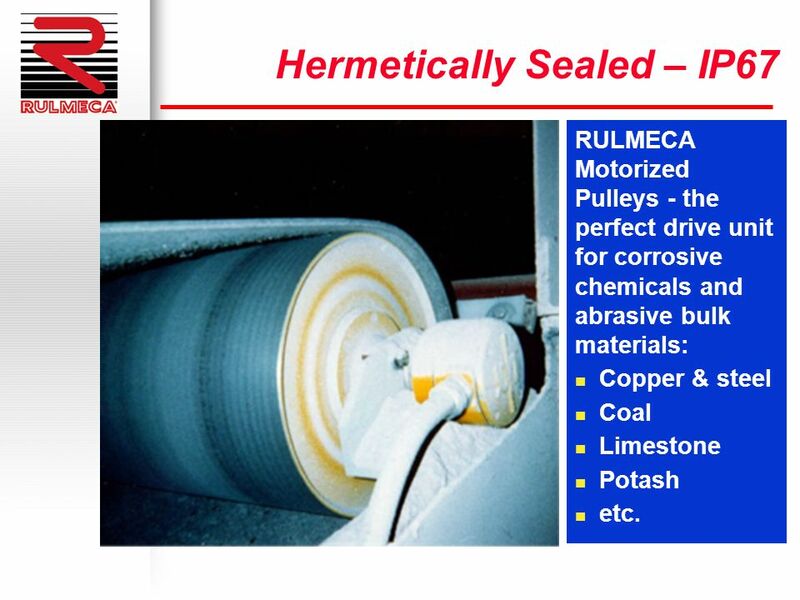 RULMECA Motorized Pulleys - the perfect drive unit for corrosive chemicals and abrasive bulk materials: Copper & steel Coal Limestone Potash etc. 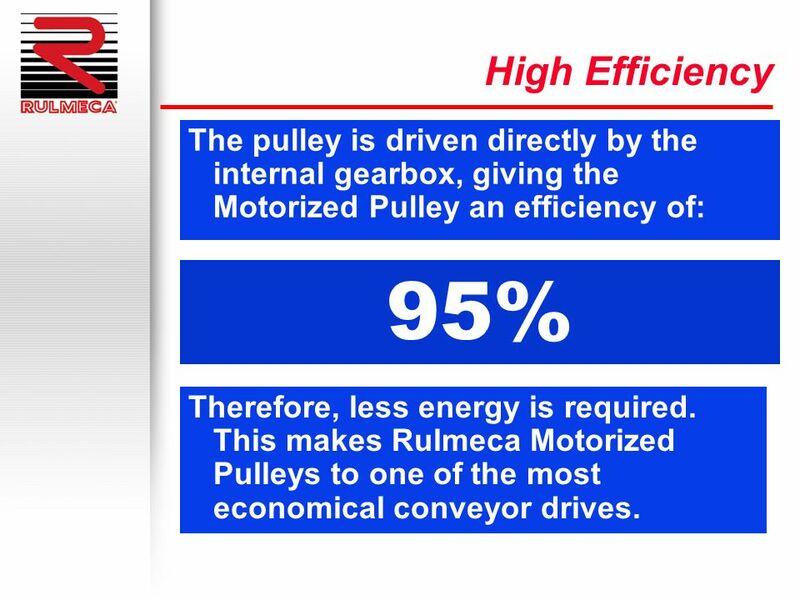 10 High Efficiency The pulley is driven directly by the internal gearbox, giving the Motorized Pulley an efficiency of: 95% Therefore, less energy is required. 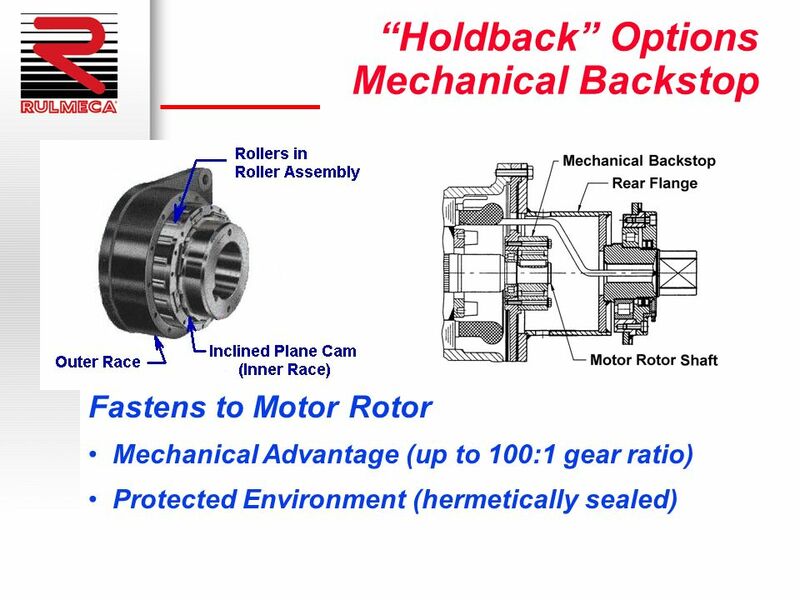 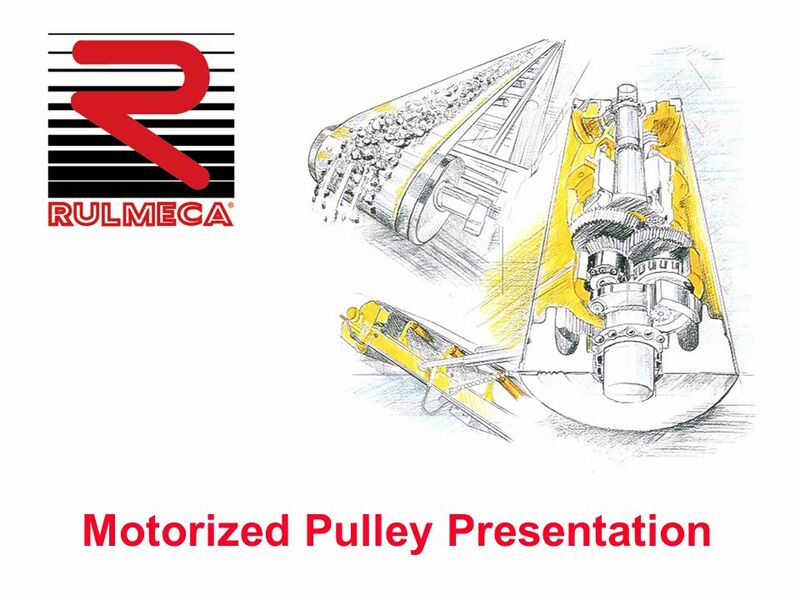 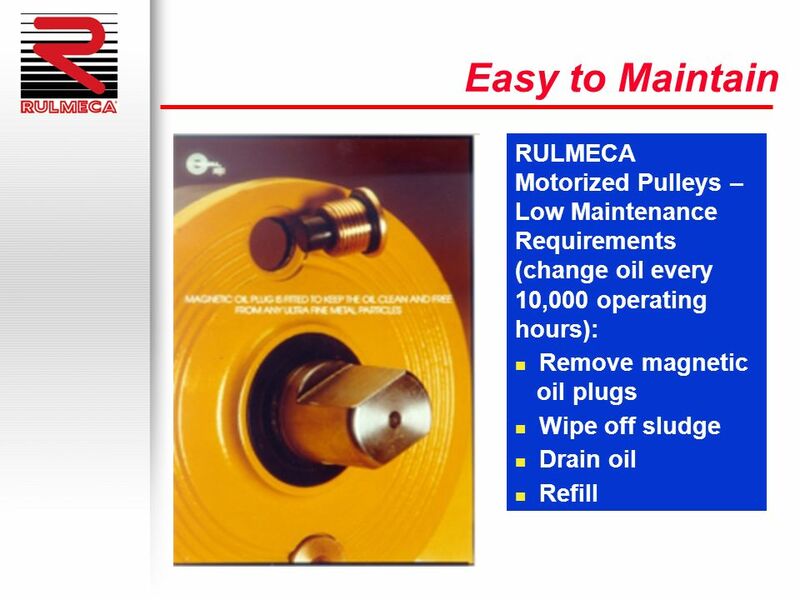 This makes Rulmeca Motorized Pulleys to one of the most economical conveyor drives. 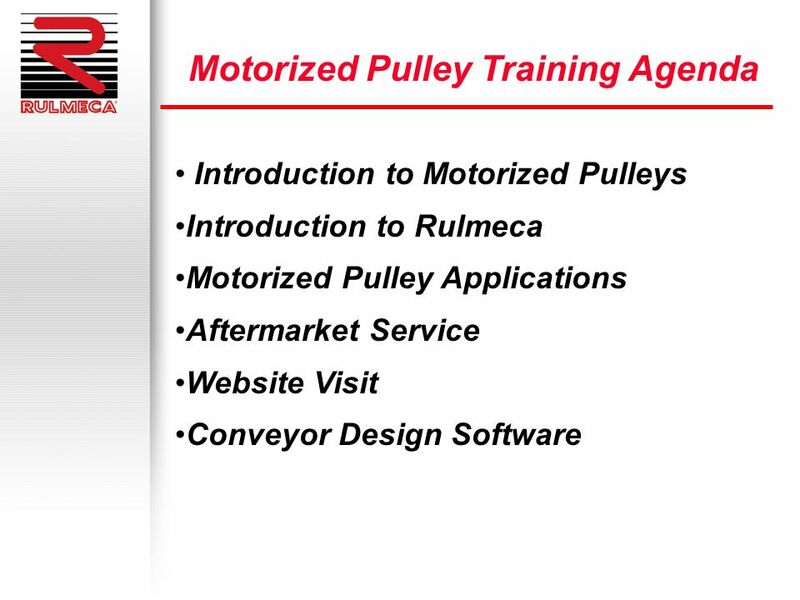 Download ppt "Motorized Pulley Presentation"
Automation and Drives s SIRIUS 1 s SIRIUS Soft Starts. 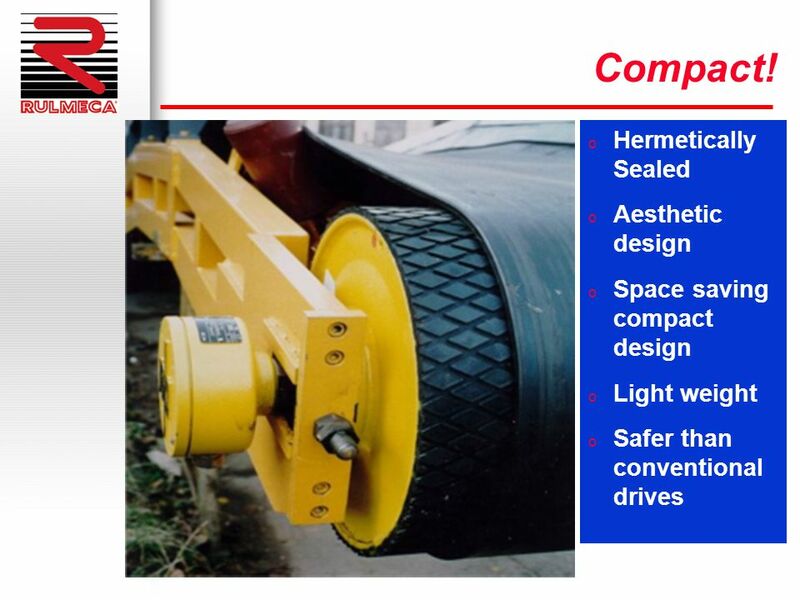 Automation and Drives Gliederungspunkt 10 MarCom Concept Sirius Softstarter Introduction Situation Market System / Product Sales Communication Service. 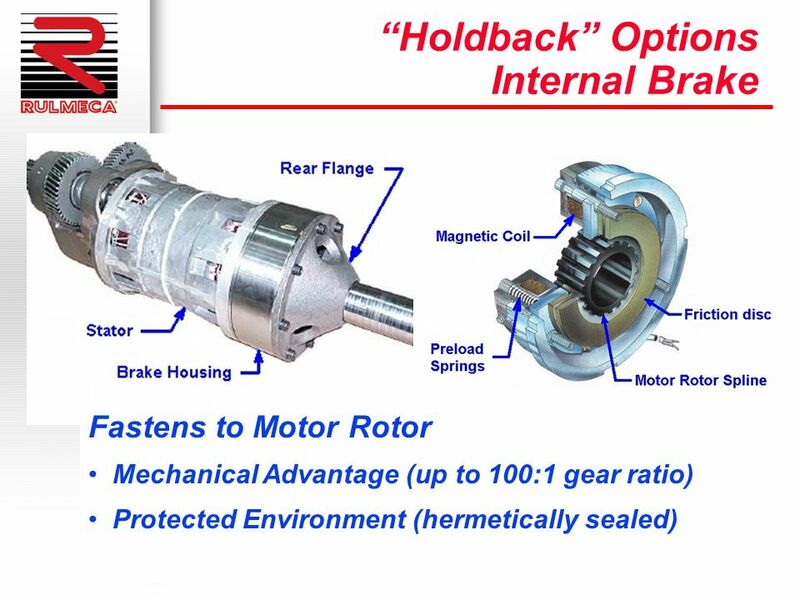 Product information, Features & benefits. 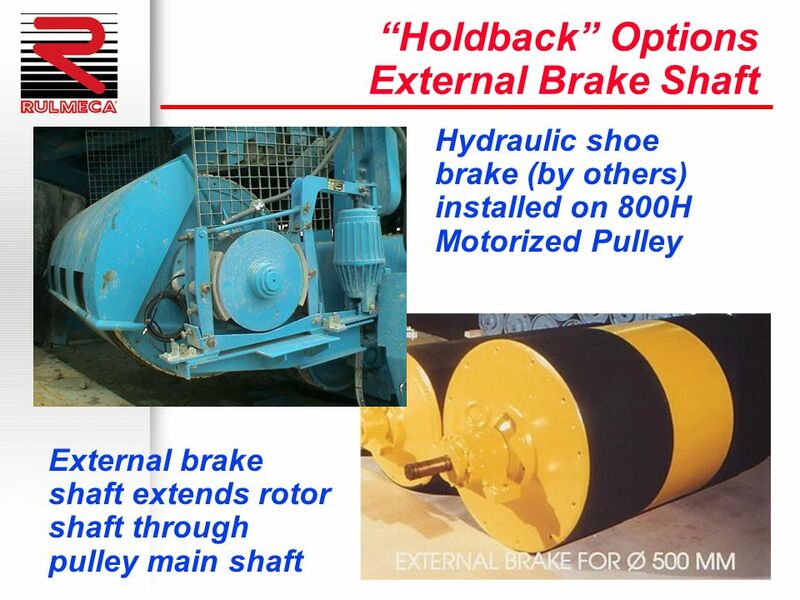 EUROBLOC VT Main characteristics Particularities - Minimum displacement of hook block - Best C dimension of. 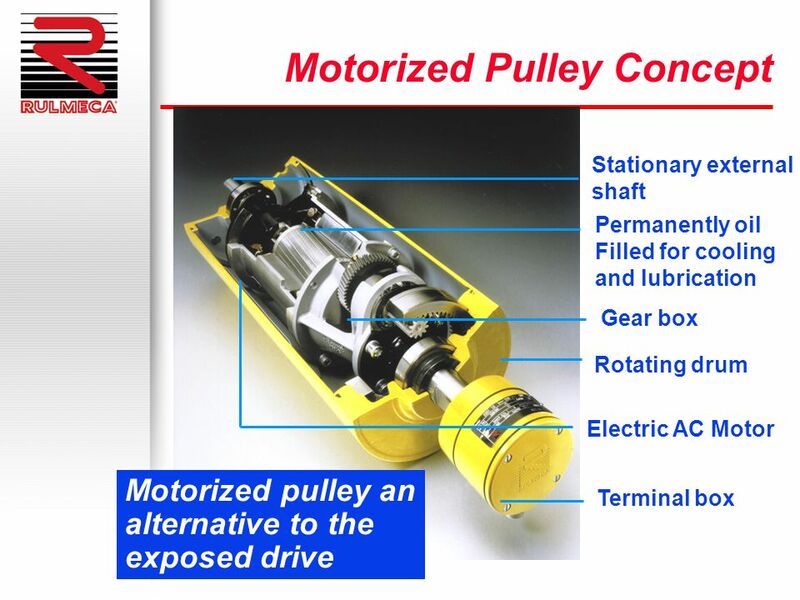 Electric generator An electrical generator is a device that converts mechanical energy to electrical energy, generally using electromagnetic induction. 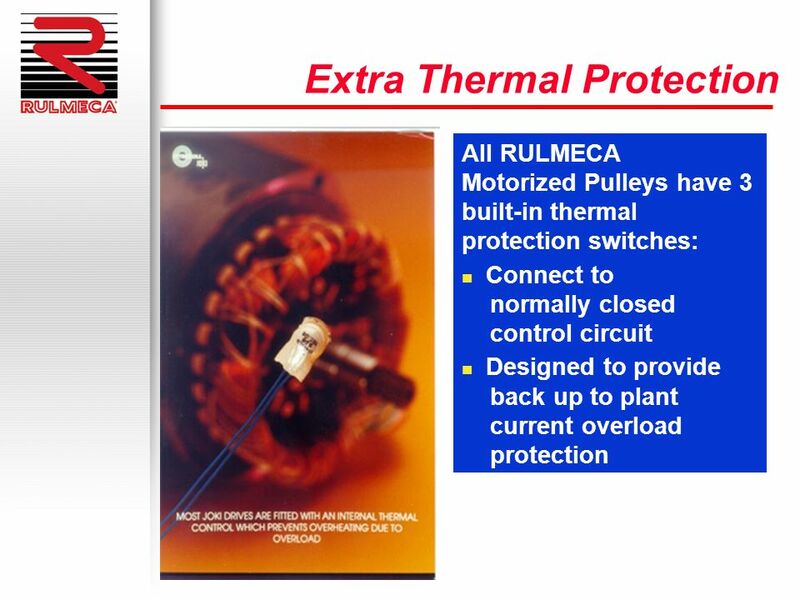 New Mexico FFA Agricultural Mechanics Career Development Event Electric Power. 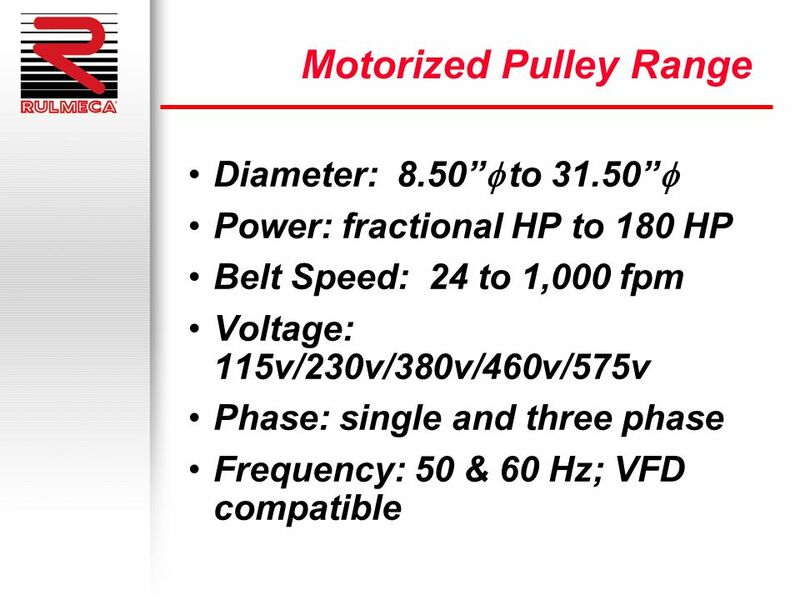 Selecting Electric Motors Electric Motors Part 1. 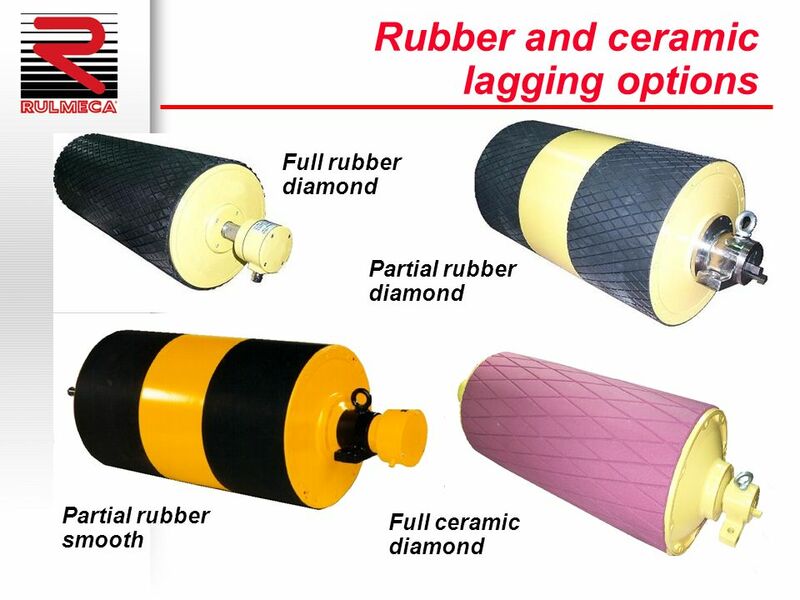 Tire Recycling 1. 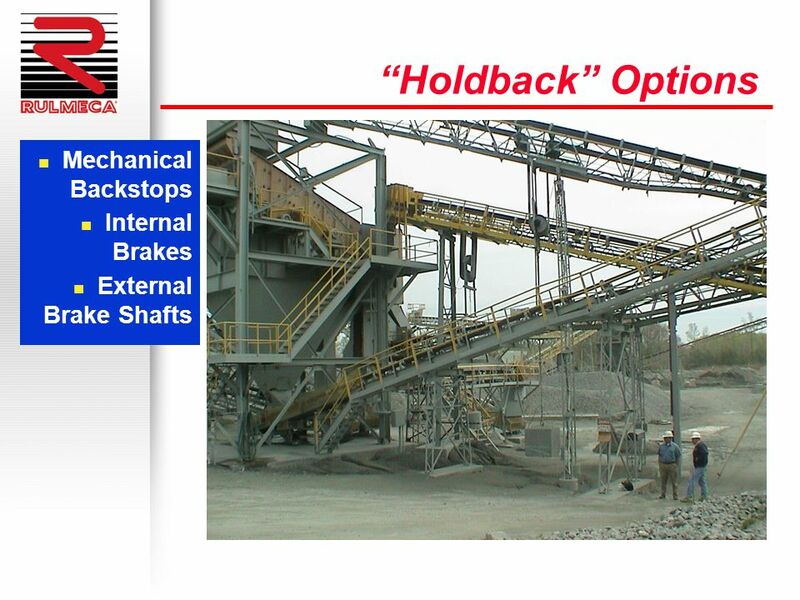 Tire Recycling Line 2 H P Series. 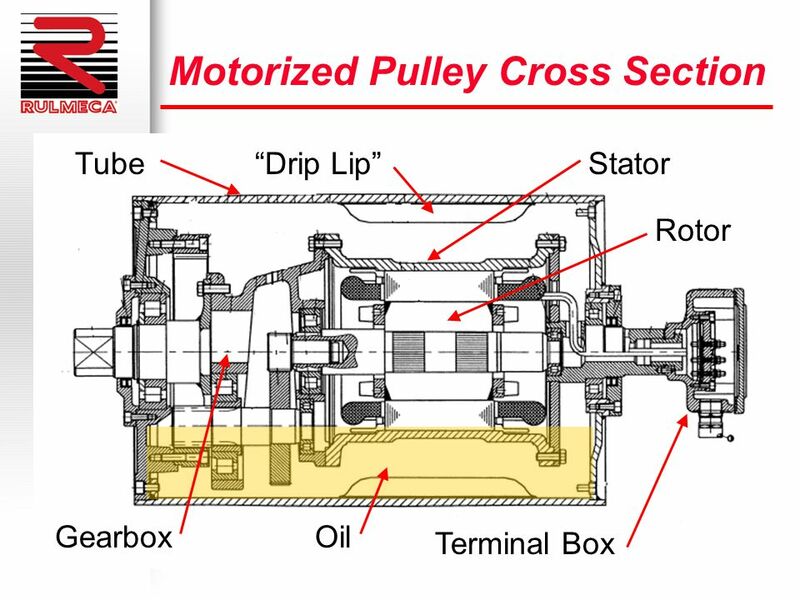 Vibration Sensors for Cooling Towers Challenges Cooling towers offer the vibration analyst many challenges in sensor selection, mounting and environmental.